When people say Doom is awesome, they’re usually talking about the game’s single player campaign. Multiplayer? Not so much. It’s bland. But in an interview with Eurogamer, developer id Software claims changes are coming. 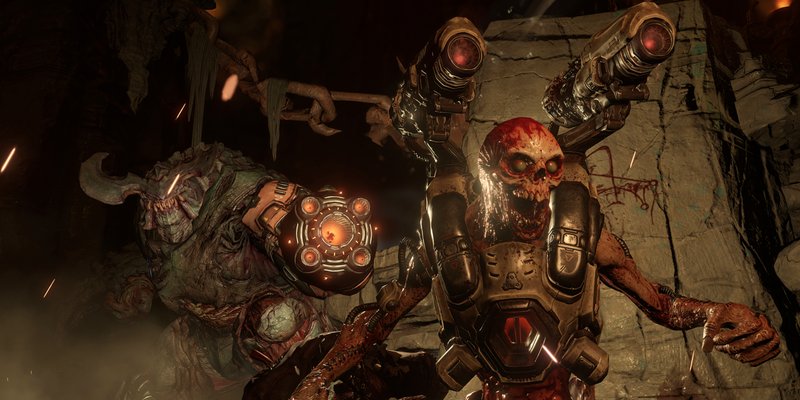 id Software oversaw Doom’s multiplayer, but Certain Affinity actually built it. Now that the game’s shipped, however, id Software is taking control. One issue that’s rubbed players the wrong way is a lack of features. During the game’s alpha test, players discovered a proper server browser (the game currently relies on matchmaking), private matches with custom game modes, and the option to incorporate SnapMap-developed stages into multiplayer. None of that shipped with Doom last month, but executive producer Marty Stratton says private matches, at least, are coming in a free update this summer. Stratton wouldn’t confirm when the other features are coming, but indicated some are on the way, following polish by id Software. That’s promising. The company ruled out the idea of private servers, but suggested it’s taking feedback about incorporating elements of a server browser into the game. At some point “later,” the game will also be getting bots programmed by John “Maleficus” Dean, who longtime shooter fans should know from his work on bots for Return to Castle Wolfenstein Fritz and Enemy Territory. The addition of new features is great ‘n all, but it might not fix the core problem: the new Doom isn’t a great multiplayer game. Honestly, I wish the team would just get to work on a beefy single player expansion. You can read the whole interview with Stratton over at Eurogamer.